There is an elegant geometry inherent to our daily lives. This extends beyond the overt energy of our physical surroundings, to that which is embedded within the act of living itself. The systems we work within, the routines we perform, the emotional ether we inhabit – each has a rhythm that is often repetitive and predictable. Children of a Montessori community, given the power and respect to learn to govern themselves, recognize the circular symmetry of their school day experience. From lessons, to self-directed work cycle, to specials the students chart an arcing course through their time spent in school. The scope and sequence of lessons and co-curricular experiences that a Montessori teacher brings to the classroom, if truly interdisciplinary, necessarily holds a similar circular form. Students recognize the connections between subject areas as avenues are opened to them that allow for self-directed inquiry and exploration, as well as opportunities to demonstrate understanding. Knowledge gained from one set of experiences serves as an asset as the children move to explore parallel studies. Deliberate exposure to distinguishable works connected to greater themes deepens the children’s integration of this holistic perspective. As such, both the school day and academic studies take the form of integrated wholes; at times divided into separate units, but always continuously connected through carefully designed scheduling and themes. It is the conscious tying together of seemingly separate and linear studies, through holistic academic partnerships, that provides a Montessori education with its most precious gift: the child’s ultimate awareness of the ecology of her experience. As educators for peace, this is our paramount responsibility. In a Montessori classroom, cycles naturally evolve as the culture of the community develops. This is first rooted in the meaningful ways in which the children’s environment is prepared. As the students become more comfortable with the dedicated areas of the classroom and the patterns of traffic flow within it, they adopt this physical blueprint and learn to navigate their immediate surroundings with care, comfort and ease. Upon this foundation, and with practice, there grows and innate awareness of the rhythms of the day: work cycle, lessons, specials, recess, lunch, etc. 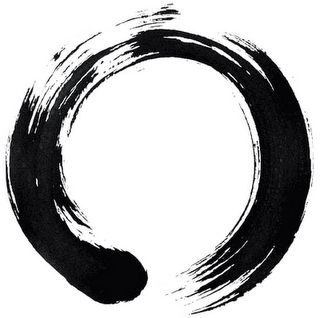 This recognition of the looping circles present in our daily lives connecting day-to-day, week-to-week, month-to-month, etc. is a critically significant component of a successful Montessori classroom. From a child’s perspective freedom, used wisely, requires a thoughtful awareness of the dynamic parameters of one’s potential experience. Within this primed atmosphere, the choices that a Montessori teacher makes when designing the flow of lessons can dramatically extend the students’ collected, holistic view of their school day experience. The conscious use of lessons that emphasize a circular completeness, both as individual works and as continuing themes, further instills in children the interdependence of their studies. The task of the Montessori teacher is to frame individual lessons within the larger concepts that revisit the idea of the unified wholeness of a circle. Our cultural studies drive these thematic units, encompassing language and mathematics from this foundation. While competency is a priority it is not the ultimate measure of achievement. Beyond static academic assessment, the principle objective of this work is for teachers to learn to authentically foster the children’s intimate awareness of the cosmos and their place in it.